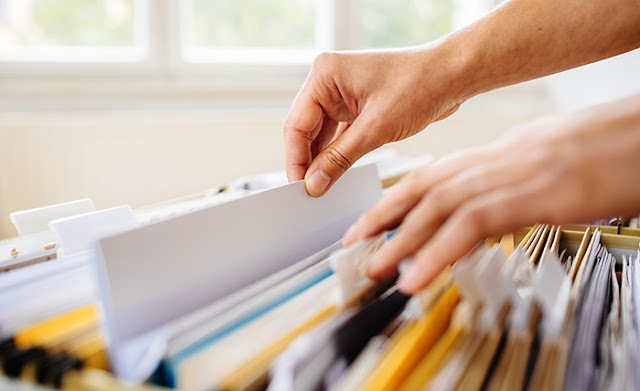 If you tend to keep stuff because you "might need it someday," your desk or home office is probably overflowing with nonessential documents. One of the first steps in determining what records to keep is to ask yourself, "Why do I need to keep this?" Generally, a good rule of thumb is to keep financial records and documents only as long as necessary. For example, you may want to keep ATM and credit-card receipts only temporarily, until you've reconciled them with your bank and/or credit-card statement. On the other hand, if a document is legal in nature and/or difficult to replace, you'll want to keep it for a longer period or even indefinitely. Finally, when you are ready to get rid of certain records and documents, don't just throw them in the garbage. To protect sensitive information, you should invest in a good quality shredder to destroy your documents, especially if they contain Social Security numbers, account numbers, or other personal information.